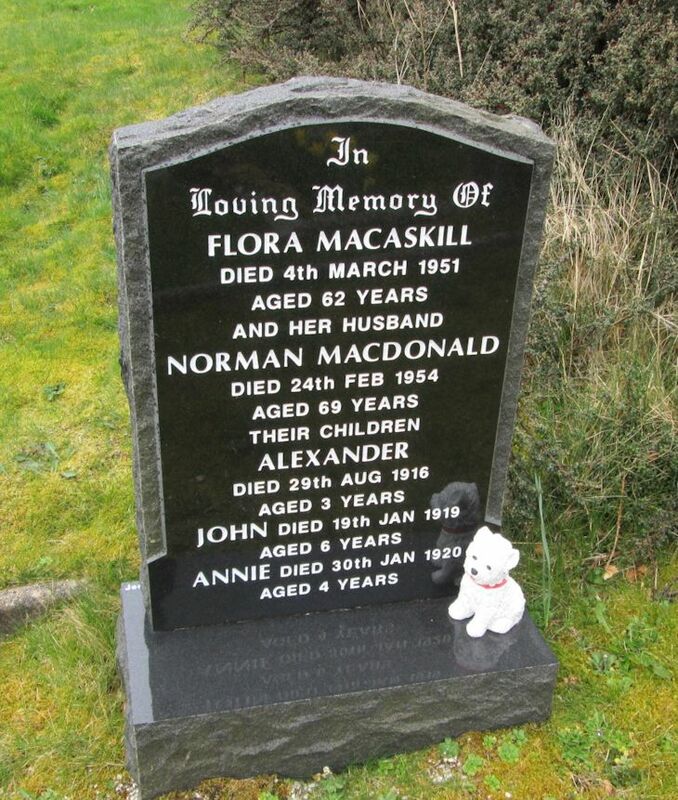 Skye Gravestones | Flora (Macaskill) & Norman Macdonald & family. Flora (Macaskill) & Norman Macdonald & family. In/loving memory of/FLORA MACASKILL/died 4th March 1951/aged 62 years/and her husband/NORMAN MACDONALD/died 24th Feb. 1954/aged 69 years/their children/ALEXANDER/died 29th Aug. 1916/aged 3 years/JOHN died 19th Jan. 1919/aged 6 years/ANNIE died 30th Jan. 1920/aged 4 years.